Hi and welcome to my blog Caralishious! I am a wellness consultant with a passion for all things wholesome, healthy, nourishing and natural. As a foodie, nutrition nerd, fitness fanatic and wellness consultant my mission is to inspire you to enjoy the nourishing wholefoods lifestyle that I know will revitalise you completely! The Caralishious blog is my own little health hub through which I am able to share with all of you loads of information, deliciously nourishing recipes and personal health-related experiences/ stories of my own. If you would like to get to know a little more about me, please browse through ABOUT CARA. Here I share with you my story, my own health journey, my professional background, and some interesting facts about myself. What is your mission here at Caralishious? I am living proof that a wholesome, healthy lifestyle filled with mindful nourishment, exercise, relaxation and balance can truly turn your life around…in the best way possible! Embracing good health is so much more than just “something to do because everyone says you should”. Our health is our life force – our zest – our energy – our longevity – and without it we have nothing! So much of the deficits in our lives are manifest because we do not afford our health the attention it so desperately deserves! It is my mission to share with you my love for wellbeing so that you too may grow to become passionate about your own health. In sharing simple, deliciously nourishing recipes, fad-proof information and health tips, I hope to get you all on board the holistic health train so that you too can reach your health goals and live your life to the full! I aim to inspire you to try new things, become more open, and to unleash your creativity in the kitchen and in other areas of your life. What is a whole foods lifestyle? Living by a wholefoods lifestyle simply refers to consuming foods that are as close to their source ad possible. This means eating local, seasonal produce that Mother Nature provides for us. One ingredient foods including fruit, vegetables, legumes, nuts, seeds, pulses, whole grains, eggs, fish, red meats, and white meats are classified as whole foods. This is because they do not contain any other added ingredients to enhance flavour or to change the properties of the food itself. 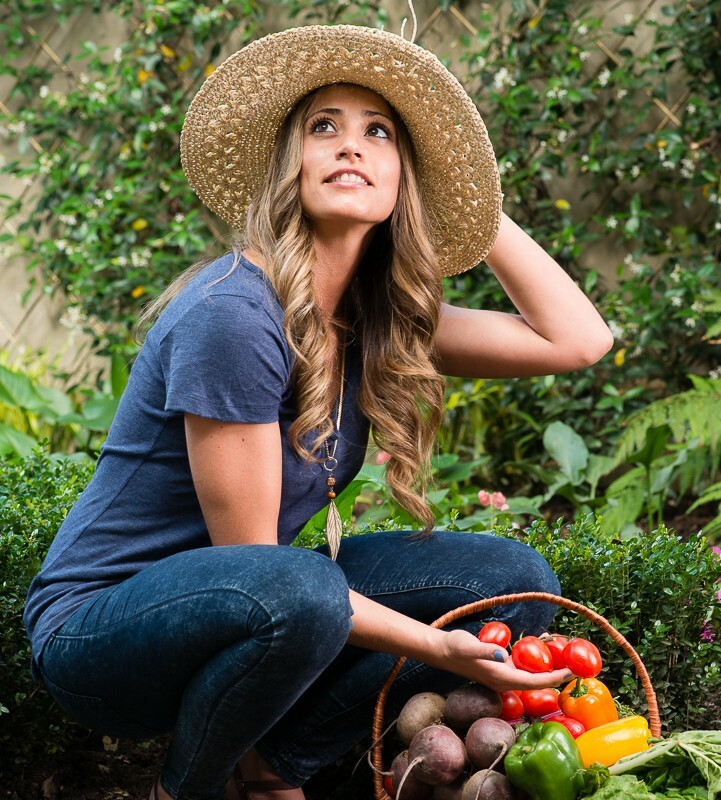 Whole foods living is all about taking it back to basics – a farm-to-table approach by which we are able to identify the source of the foods we eat and are confident that minimal adulteration has occurred during the harvesting process. Eating organic whole foods (that are non-GMO and contain no pesticides or fertilisers) is the ultimate goal; however organic is not always readily available and often comes at a heavy cost; therefore I recommend local produce from smaller farms. As a rule of thumb, the bigger the produce farm, the higher the crop yield – which means more fertilisers, GMO’s, herbicides and pesticides to meet demands. It is always best to buy from smaller grocers than mainstream stores. What do you usually eat in a day? I get this question a lot. I am not about singling out one specific way of eating. I really do believe that each individual is completely different – from the way we perceive the world to the way we process and assimilate food into our bodies. This is why nutrition, as with any individual difference is very personal – something we ought to take the time to figure out by truly listening attentively to what our bodies need. The better we are at tuning in to our bodies, the greater our understanding of what works for us becomes. So what do I eat in a day – well let’s start with what I do before I eat. On waking up, I drink a large mug of hot water with lemon, apple cider vinegar, cayenne pepper and cinnamon to cleanse my system. I also take a probiotic to promote healthy digestion. For breakfast I usually opt for rolled oats or chia pudding in the morning. If I am feeling a little flat, I will add a scoop of vegan protein powder to my oats/chia to give me a protein kick. In the afternoons I tend to stick to a salad of some sort – the more veggies, herbs and seeds the better! More often than not I will add chickpeas, quinoa or lentils to my salad to keep me satiated. I absolutely love Tahini, so usually my salad is drizzled with some delicious tahini dressing. To snack on I am very big on dates – they curb any sweet cravings and are fantastic before a workout. I also enjoy a handful of pumpkin seeds, raw nuts and raisins or a fruit – usually apples, plums, or soft citrus. Dinner usually consists of fish with steamed veggies, vegetable stews/curries, vegetable bakes or quinoa stuffed veggies. I am not a big fan of red or white meat so I don’t often eat these – although there is absolutely nothing wrong with eating them I just personally prefer vegetables and fish. I do enjoy eggs occasionally and prefer not to eat dairy. Nourishing whole foods straight from Mother Nature! These foods provide us with high quality vitamins, minerals, healthy fats, fibre, nutrients, and antioxidants. So lots of fresh fruit, vegetables, nuts, seeds, avocados, pulses, legumes, whole grains, coconut oil, olive oil, nut butters, macadamia nut oil, superfoods, eggs, and organic animal proteins (if you wish). Adopting a whole foods approach to eating is colourful and exciting – especially re-creating traditional recipes using healthier ingredients –yes you can totally make healthy pancakes, cake, bread, muffins and brownies! It’s all about switching up ingredients and getting a little creative. Once you have converted to whole foods, believe me you will never want to go back! What should I eat less of? Anything that comes in a pretty, shiny packet, has a "half a page" ingredients listing and “boasts” an expiry date older than you should be avoided! These are not real foods, but rather once-was-food ingredients that have been adulterated, processed, refined and chemically adjusted to look and taste like something else. Anything with an expiry date older than you! Follow the “Caralishious” PHILOSOPHY for more! How do I start eating the Caralishious way? It really is so simple – because it’s all about keeping it simple! What could be simpler than sticking to one ingredient whole foods? Start by incorporating more of the good stuff (good quality nourishing whole foods) and you will naturally eat less of the not so good stuff. Ease into healthy eating. You don’t have to do a 360° transition in one day. Work towards being more aware of what you are consuming and what it can do for your body nutritionally. Browse through some of my RECIPES to see just how delicious and simple healthy eating can be. What do you always keep in your pantry? This is a great question! Be sure to check out my page on PANTRY ESSENTIALS for a detailed list of all the foods I recommend and personally keep in my refrigerator and pantry at home. Loads of fruit, vegetables, legumes, fresh herbs, natural dried spices, beans, pulses, nuts, seeds, raisins, dates, rolled oats, quinoa, brown rice, natural sweeteners such as raw honey, xylitol and stevia, homemade pesto, salsas and tomato sauce, guacamole, healthy fats, superfoods and more! What type of kitchen equipment do you classify essential? For the most part, I can assure whatever equipment you already have should be plenty. No need to go out and buy fancy gadgets with hefty price tags. If you are working on a budget, investment pieces to include are a good quality all in one blender and food processor, a juicer and a dry fryer. 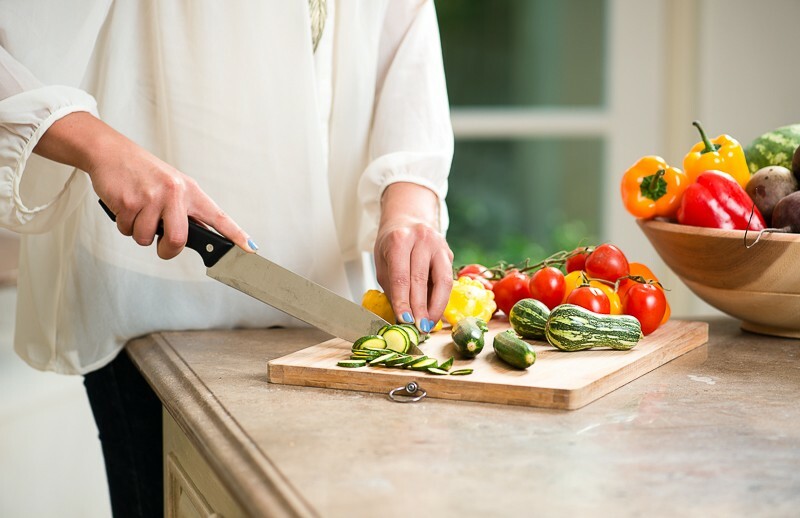 A good top notch chef’s knife will also save you plenty of time in the kitchen by helping you to chop those veggies quickly. For more suggestions on kitchen equipment have a look at my KITCHEN TOOLBOX. Are protein powders safe to consume? Most mainstream protein powders contain flavourants, colourants and artificial sweeteners. Simply put they are pretty much a science experiment filled with processed and isolated chemicals. If you absolutely must have a protein powder, opt for organic, natural and minimally processed brands and always be sure to have a look at the ingredients listing. In South Africa, brands such as Bodylogix and Absolute Organix Lifematrix Protein Powders are better choices, in particular the latter which offers vegan protein powders too. I recommend keeping supplements to a minimum, and to rather acquire your daily nutrients through the actual food you eat. I am on a budget, how can I afford this lifestyle? Healthy living can be a little more expensive, but wouldn’t you rather invest in your health now to avoid large medical bills later on in life? No need to buy all the fancy superfoods that are all the rage at the moment – these are luxuries, not essentials. You also don’t have to eat organic foods if it is not within your budget. Rather source a market in your area that sells local produce supplied by small farms. These are close enough to organic and will provide you with plenty of health benefits. Keep your meals packed with vegetables and fruits that are in season. Proteins are usually the most expensive items in a shopping cart, therefore try to reduce these for consumption 2-3 times per week and stack up on veggies, legumes, whole grains and beans instead. Cereals, junk food, precooked meals, and other processed foods are both expensive and completely unnecessary. You will be amazed at how much your grocery bill will reduce by eliminating these from your shopping cart! I have allergies to certain foods, what should I Do? My recipes are really flexible for the most part but I try to answer this on a recipe by recipe basis to make sure that I can suggest alternatives that will work well in the recipe. Simply leave a comment in the comments section on that particular recipe post and I will do my best to find a fabulous alternative for you! I place a lot of time and effort into brainstorming, creating, developing and testing each recipe that I post to ensure that it is both delicious and nutritionally balanced. Therefore, when someone suggests an ingredient replacement or an adjustment of the recipe, I cannot guarantee that the recipe will turn out as well. If it is a simple substitution such as soy milk for almond milk or spinach for chard then the outcome will be much of a muchness. However, I would like you all to try out the recipes as they are to really enjoy the full flavour experience. How many calories are in your recipes? While calorie counting does have its place, I do not personally advocate calorie counting. I believe that subjecting food to a numbers game becomes tedious, and evokes negative associations about food. The more we create a restrictive environment for ourselves when trying to change our eating habits, the more we crave, and the less likely we are to be successful in our attempts. My approach is all about maintaining a healthy relationship with food, listening to the body and enjoying healthy living. I am personally not a calorie counter, but if you would like to know how many calories are in a recipe, there are numerous online calorie counters such as myfitnesspal.com that will assist you in obtaining this information. Can I share and repost your recipes on my own blog or website? You are more than welcome to share the recipes I post on social media (Facebook, Instagram, Pinterest and Twitter) on your own social media accounts provided that you credit me in your description. If you want to share posts or pictures directly from my blog you may do so only through using the social media share buttons supplied on my website and crediting me in your description. Please use Caralishious for all referencing. If you would like to share my recipes on your own blog or website then you must obtain permission from me first before doing so. I put loads of time, passion, effort and tons of hard work into creating both the content and recipes presented on my own blog. Please respect that and do not use them as your own! How do I convert measurements if I use grams or Fahrenheit to measure my food? This type of lifestyle seems like an awful lot of work. How do I live this lifestyle if I am always busy? Of course healthy living requires some adjustments. Yes convenience goods are quicker and easier, but these really do take their toll on our bodies and on our health. The best advice I can give you is plan, plan, and plan some more! Health necessitates prioritisation, which requires being organised of course!! Cook in large batches and freeze meals. Sealing cooked vegetables in airtight containers will enable them to last for up to 4 days. I have been batch cooking for a few years now and trust me it works so well. My schedule is more often than not crazy busy, so batch cooking really helps me stay properly nourished while on the go. Also remember to keep longer-lasting healthy snacks in your bag or in a cooler bag in the car so that you always have wholesome food with you in a hunger emergency. Great choices include dates, nuts, dried fruit, raisins, pumpkin seeds, goji berries, and sunflower seeds. 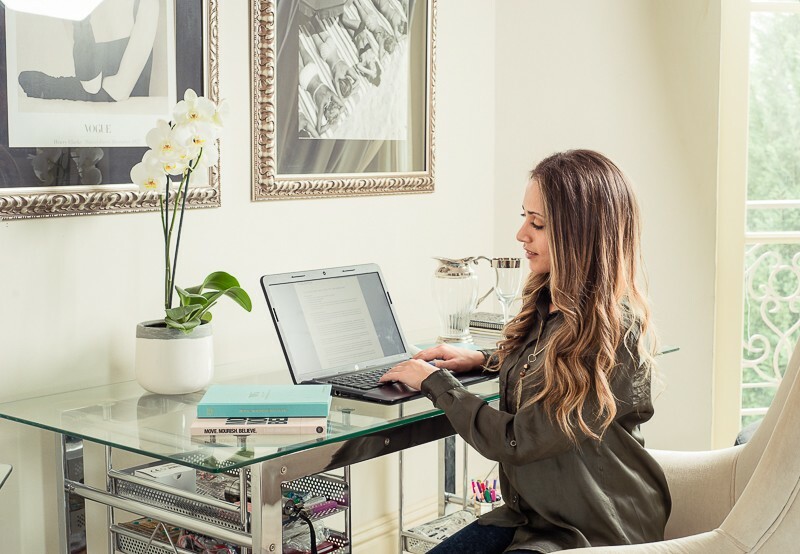 What does a day in the life of Cara-Lisa look like? Great question! Oh my goodness so many amazing things! I am a wellness consultant to many wonderful clients, a newbie food photographer, a writer, health product developer, recipe developer, personal trainer, fitness fanatic, foodie, innovator, entrepreneur and much more! I wear so many different hats running my own business, but I really love playing each and every role! I wouldn’t have it any other way. Check out my LIFESTYLE section to learn more about my daily life. I absolutely love getting my body moving. It keeps me energized, centred, relaxed and facilitates the connection between my mind and body. I really enjoy changing up my workout routines every six weeks or so to keep things interesting and to prevent my body from reaching a plateau. I absolutely love yoga and Pilates, which I practice most days. I also enjoy tennis, and High Intensity Interval Training (using only my body weight) 2-3 times per week. I am not a big fan of weight training, as these work muscles in isolation, so I stick to body weight exercises instead. I also enjoy doing drills outside in the park or the field. Those can be super fun with a friend. What type of things do you do for fun? I absolutely love cooking, photography, reading up on the latest news in nutrition, and like anyone else I enjoy being with my friends and loved ones. Exploring different places, markets and quaint little shops or restaurants is my kind of Sunday! My absolute favourite place to be is in amongst the beautiful nature that surrounds us – be it walking my dogs, strolling along the beach, hiking or picnicking in my local park. There is something so grounding, humbling and soul enriching about being outdoors. I also love to get my body moving (yes exercise is fun for me!) so you will often find me working up a good healthy sweat doing yoga, Pilates or HITT training in the gym. What foods can’t you live without? My go-to food essentials are definitely dates and avocado! Both are packed with essential nutrients and keep me satiated and energised for hours. What type of skincare and haircare routine would you recommend? I am not big into skincare products. Our skin is like a sponge and absorbs ingredients (even chemicals) directly into our bloodstream. Therefore I am very mindful about what I apply to my skin. I prefer to use products made with natural ingredients. I am very appreciative of my good complexion, and don’t often wear makeup except for formal occasions, appearances and events. I don’t currently use all-natural make up products but do recommend opting for this if you wear makeup daily. For both healthy hair and skin, I believe that good nutrition is where it all starts. Obtaining all essential vitamins and minerals is vital for healthy, happy skin and hair and therefore I make sure to include lots of avocado, macadamia nut oil, salmon (omega 3) olive oil, olives, nut butters and coconut oil as part of my diet. Who inspired you to begin your career? I have always been so passionate about health and wellness, but never really thought about applying it as a career. I would have to say that Jessica Alba who launched Honest Co - her own line of all natural baby products - definitely triggered my entrepreneurial spirit. Lorna Jane Clarkson, founder of Lorna Jane gym wear, has also been a major inspiration for me, alongside Sarah Blakely, creator of Spandex. I am also in complete awe of Mark Cuban, who is an entrepreneurial genius! The unyielding passion, drive, determination and innovativeness that each of these entrepreneurs display is what truly inspires me to give my all and to create something great of my own. A wellness consultant offers guidance and advice pertaining to all things health and wellness - from nutrition and exercise, to sleeping patterns, work-life balance and personal enrichment. Wellness consulting is far broader than just nutrition or exercise; it is about considering the big picture and is completely person specific. Consults serve to gauge more information about the current lifestyle, needs and goals of the client, including eating habits, level of physical activity, sleeping patterns, general state of mind, preferences, and desired health outcomes. Once these are clear and established, a nutrition and lifestyles solution is provided to the client to help him/her to reach their desired health goals. Some solutions are more general than others depending on the client’s desired outcomes. Can I subscribe to a newsletter to get updates about Caralishious? Absolutely! You can directly subscribe to all updates from Caralishious licking the SUBSCRIBE button in the toolbar on the right side of the page. Where can I find you besides here on Caralishious? Everywhere! Well almost. You can find me here on my blog, on Instagram, Twitter, Facebook, Pinterest, Google Plus and on the CONTACT Page. You can also find quick “follow me” links on the left-hand side of the page and at the bottom of each page in the footer. Where can I find more information about collaborating with you for brands, sponsorships, product reviews, ambassador opportunities, product creation, menu makeovers etc.? Where can I find information about your Disclaimer policy? You can find a link to my disclaimer policy at the very bottom of the page or you can click HERE for more details. Who took your photos for your website? DYLAN SWART, an absolute gem and photographic genius took all of my lifestyle and portrait photography, otherwise the food photography is all me – just playing, learning and experimenting with my camera. DANIELLA SHAPIRO in collaboration with Simon Katz created this beautiful website masterpiece, that I am so proud to call my own. Have more questions? 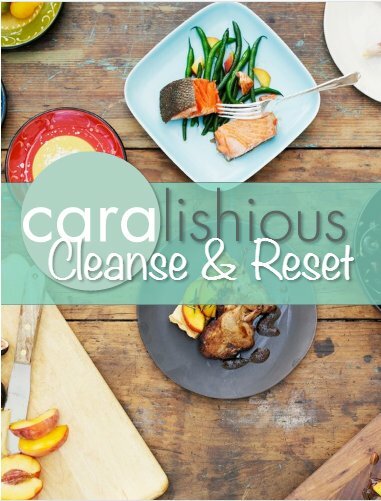 Send the Caralishious team an email at cara@caralishious.com to have your questions answered. A disclaimer: This blog is intended as a platform to share my thoughts, ideas, and knowledge on all things nutrition, fitness and holistic wellbeing with you! Therefore please apply an individualistic approach when making changes to your own lifestyle. I am a wellness consultant, not a physician; PLEASE always check with your physician before engaging in any change. These ideas are my own. Please note that if you are or may be suffering from any illness or disease, be sure to contact your physician. The treatment of illness and disease does not fall under the scope of my practice.